Seattle singer serves up a stunning solo showcase of exquisite expectancy. Languidly flowing in on a strummed chord carrying the first syllable of “I can see” on the crest of its wave, “Secret Of The Sea” seems a strangely perfect introduction to a record brimful with surprises, as the number’s sun-kissed harmonies and six-string jangle caress the delicately trembling lines and shift it all toward brass-smeared glory, yet the album’s structure is very much logical. An occasional paradox would be strictly deliberate, then, with violin and piano creating a chamber ambience on “Trucker’s Lounge” where the listener could expect a boogie run, while “Bright Lights Cold Hands” resolves in a rambunctious countrified roll, and the shimmering fatigue of “Burnt Out” gets shattered once Trew’s voice rises from a barely-there presence to a rapturous almost-scream. Slightly psychedelic vibe may turn “I’m Your Television” into an intimate trip to the great unknown, but there are organ-delivered prog swirl and kaleidoscopic vocal polyphony to take the artist’s optimistic intent even further, to the epic landscape of “Vassagonia” whose solemn melody will welcome tribal drama along the way, the guitar meander making inroads in raga and bossa nova. More so, there’s Renaissance-like elegance behind “The Farmwife” – a musical reading of a Steinbeck story – and baroque beauty to define “In The Fields Where The Silence” which is as translucent as befits a tune tapping into eternity. No wonder, then, that “Westward” is wrapped in hymnal uplift, as Michael’s well-controlled vibrato oozes anguish and lets clarinet dissolve it in silence: here’s a record in need of contrast. 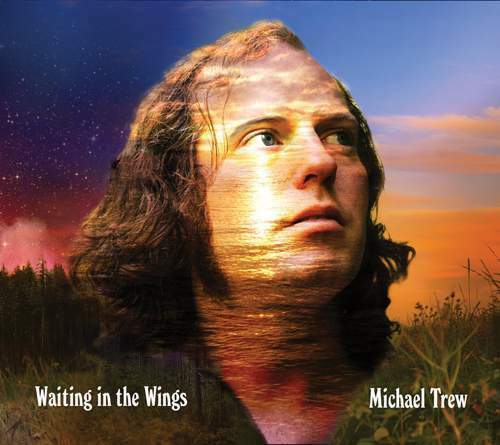 The singer could be waiting in the wings, although Trew’s time has come and he must arrive in the spotlight – this delightful album is impossible to ignore.